The fraught relationship between political comedy and Trump’s America has inspired no shortage of think pieces. John Hugar of Splitsider claimed that Trump’s rise weakened political satire by taking away the “power of exaggeration.” Ross Douthat posited that conspicuously caustic criticisms of Trump only radicalized his supporters. James Poniewozik compared Trump’s rhetorical style to that of a stand-up comic, which in turn, made him “comedy-proof.” It’s enough to make a humorist want to turn away from our modern day idiocracy and escape into a delightful world of Italian neorealism. 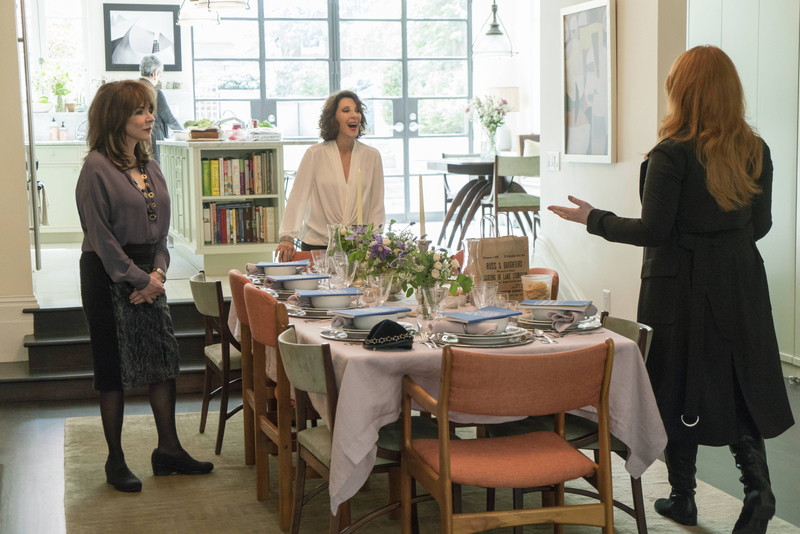 This week’s premiere of Hulu’s third season of Difficult People, “The Passover Bump,” perhaps points to our political moment more than it has in early seasons. In an episode ostensibly about the efforts of Julie Kessler (Julie Klausner) to score sufficient SSRIs to get through the family Seder, and of Billy Epstein (Billy Eichner) to flourish in his new gig warming up Larry Wilmore’s studio audience, we encounter several send-ups of our current political moment. An obnoxious middle aged man in a convertible searching for New York’s famed “Trump statue” confront the two leads only minutes into the episode. As Julie begins her search for anti-depressants we learn that after the President replaced the Department of Health with Jenny McCarthy’s blog, the best healthcare can now be found at Quiznos. Don’t worry. Despite the increased sensitivity to our national well-being, Julie and Billy are still awful people. Julie says enough horrible things to her mother at the Passover seder (including a particularly cold-blooded barb about her mother’s “bra fat”) to make you feel like you’re a model child. And for good measure, under the pretense that he’s signing his cast, Billy ends up outing a hospital bed ridden kid he’s supposed to be cheering up. It’s just that the backdrop that Julie and Billy do these horrible things feels updated and fresh—just one of the many reasons to tune in to season three of Difficult People. Yes, it’s a bit strange to air a Passover episode in August, but what better way to re-orient our minds to a world beleaguered by an intransigent Pharaoh? Josh became an editor-at-large after accruing exorbitant legal fees as the publisher of Heeb in his efforts to trademark the word "irreverent." Follow him on Twitter @joshuaneuman.